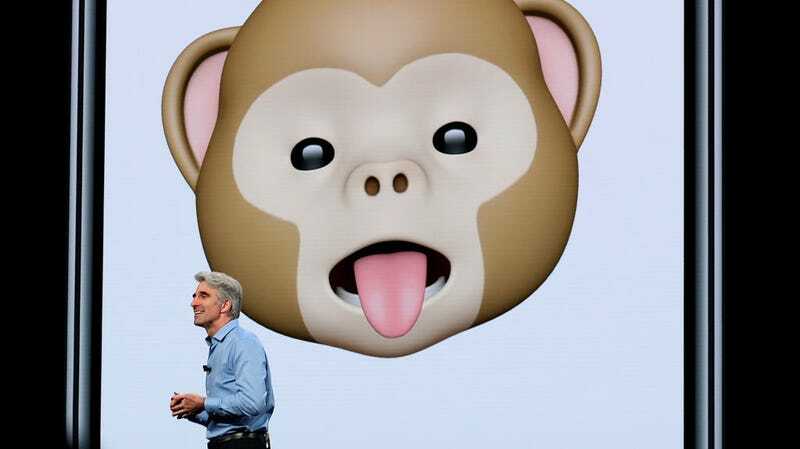 Apple usually announces more than a few welcome and forward-thinking improvements to its software and hardware at WWDC, and this year’s developers conference is no different. Still, that can sometimes spell trouble for other companies when Apple decides to try its hand—a mostly metaphorical fistful of dollars—at solving a problem already solved by another app or service. In honor of Gizmodo’s fifth annual prediction of what’s on the chopping block thanks to Apple, here’s a pack of products that need to watch out now that Apple’s decided it wants to be their competitor. ARKit 2’s flashiest update allows for four-play augmented reality, and the observation of AR games through your own iOS device, but the most important AR update might be Apple’s own Measure app. The app automatically detects particular shapes (photos, signs, boxes) and can automatically measure the entire object without you having to circle around it, measuring each dimension. Claiming Apple’s entry into the measurement space will spell certain doom for the existing crop of AR-friendly measurement apps (like Measure 3D or AirMeasure) is an oversttatement, but if you just want to measure a door or some picture frame, it might be all the augmented measuring you need. Apple is integrating automation and scheduled actions into iOS 12 through its new Shortcuts app. You can link actions together from different apps (like turning on the bedroom light, starting your morning playlist, and getting a weather report) and even rely on Siri to offer suggestions for actions you should add to your list of automated activities in Shortcuts. Without that deep integration, it’ll be hard for third-party developers to maintain a following and sell people on second-class features. That could mean competitors like IFTTT are not long for this world (at least on iOS), especially if I can access the shortcuts by talking to Siri. The new FaceTime and its support for group calls with up to 32 people could be a devastating blow to existing video chat services, most of which totally stink. While 32 people seems like a very extreme chat, adding larger group support to FaceTime on iOS and macOS makes it a bit harder to justify using a third-party app like Skype or Google Hangouts when your friends are all blue-bubbled Animoji enthusiasts. FaceTime also seemingly handle those group conversations pretty elegantly, and will subtly increase the size of the speaking party’s window while letting you still see who’s on the video call. You can make calls and use Animoji (or Memoji) instead of your face in case the bags under your eyes will give away the fact that you pulled an all-nighter. Screen Time and the Apple’s newly announced concern with reducing the amount of time you spend staring at your device means Apple has taken tracking in its own hands, and you won’t need to continue using an app like Moment to figure out how long you spend in them. The world apparently loves Bitmoji, but Apple’s Animoji-inspired Memoji might get iOS users to ditch the app for its in-house version. While Bitmoji offers two-dimensional representations of your cartoonish form, Memoji lets you build your tongue-friendly Animoji in your own image (unless you already look like a robot). Sure, it’s useful only to users with iPhone X devices for now, but Bitmoji should probably take a few more glances over its shoulder before Apple debuts a keyboard full of equally outrageous two-dimensional caricatures. iOS 12 spells the end of everyone’s favorite topic of conversation at two in the morning on a Saturday thanks to its re-imagining of Do Not Disturb. It adds a wider range of options and rules (based on time or location) you can set to keep your phone silent and your self-care routine on schedule. Notifications received during your scheduled bedtime are dimmed, muted, sent to your notification history. All you’ll see is a black screen with some white text informing you of your own radio silence, should you decide to take a look at your phone in the middle of the night. U up? Nope.